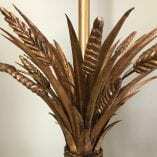 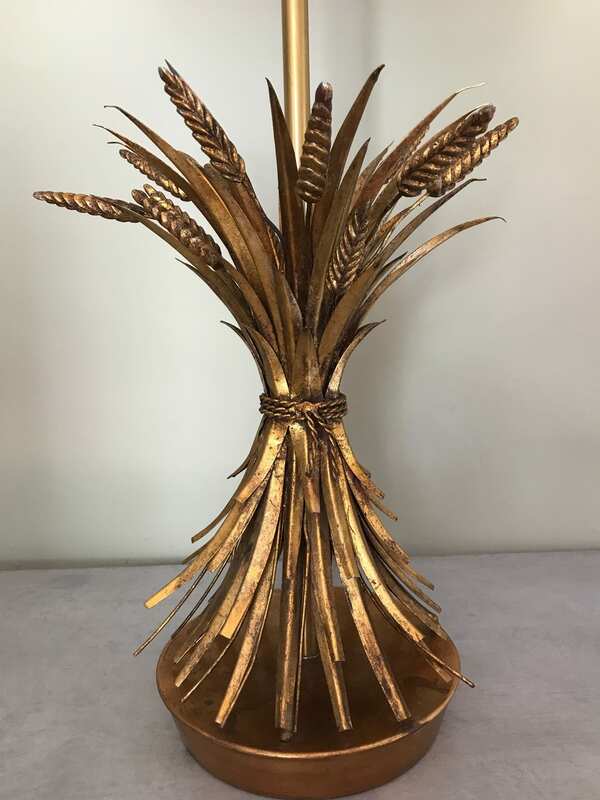 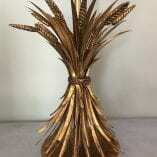 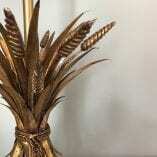 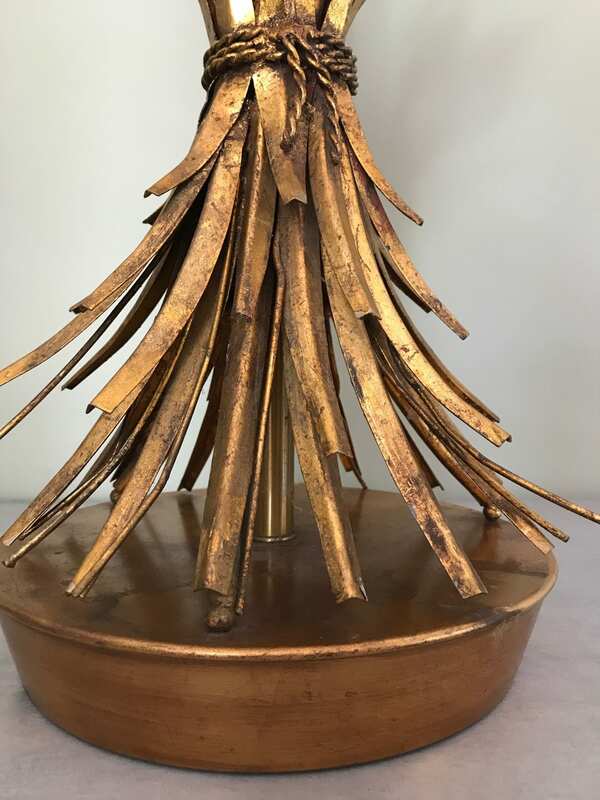 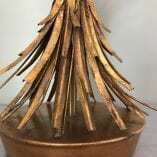 A very beautiful large sized gold tole Wheatsheaf table lamp that stands on a circular gold metal base and finished with a gold finial. 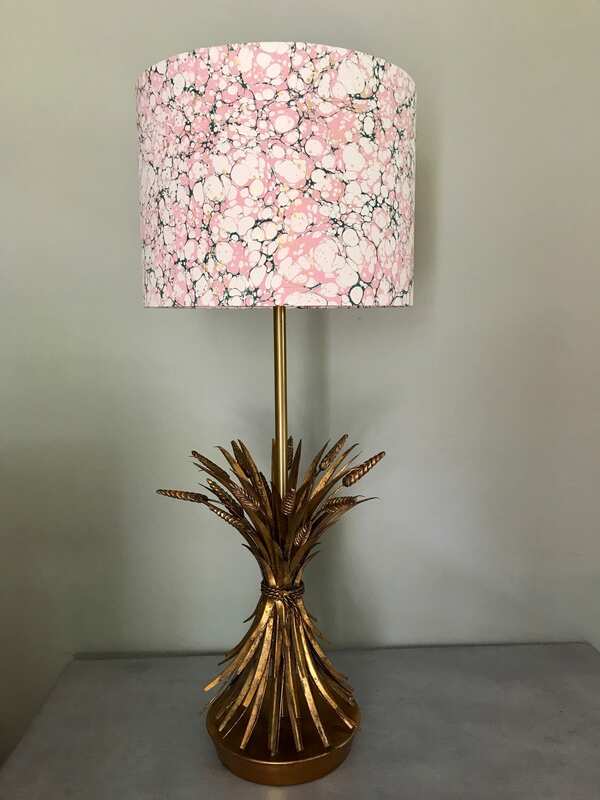 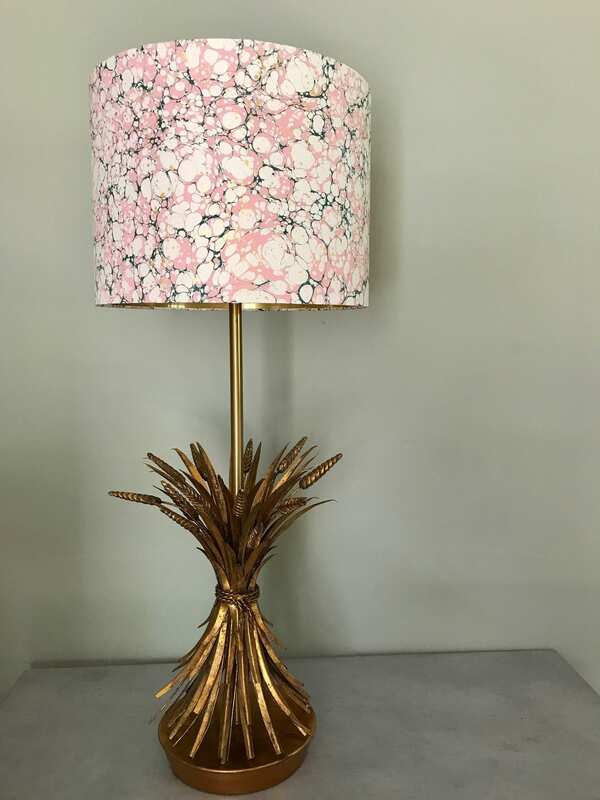 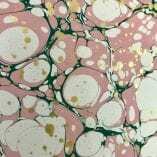 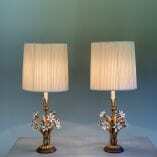 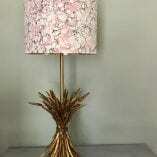 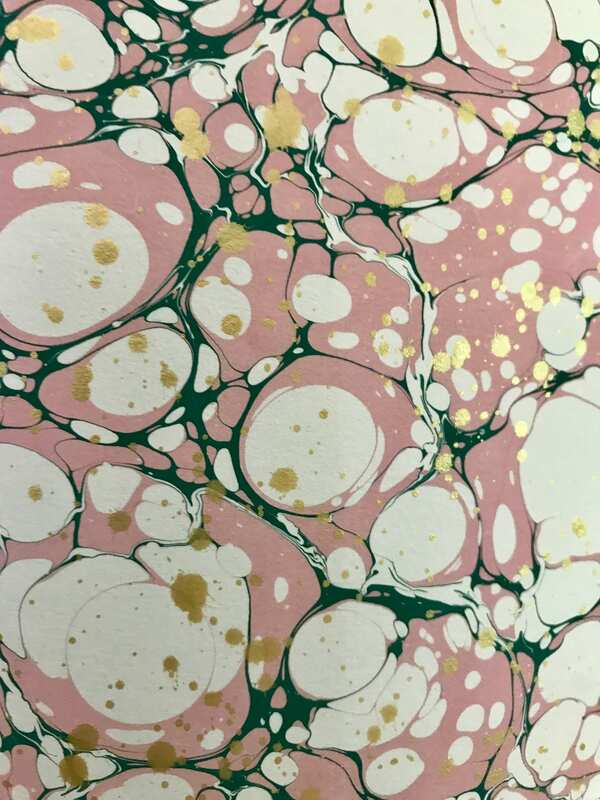 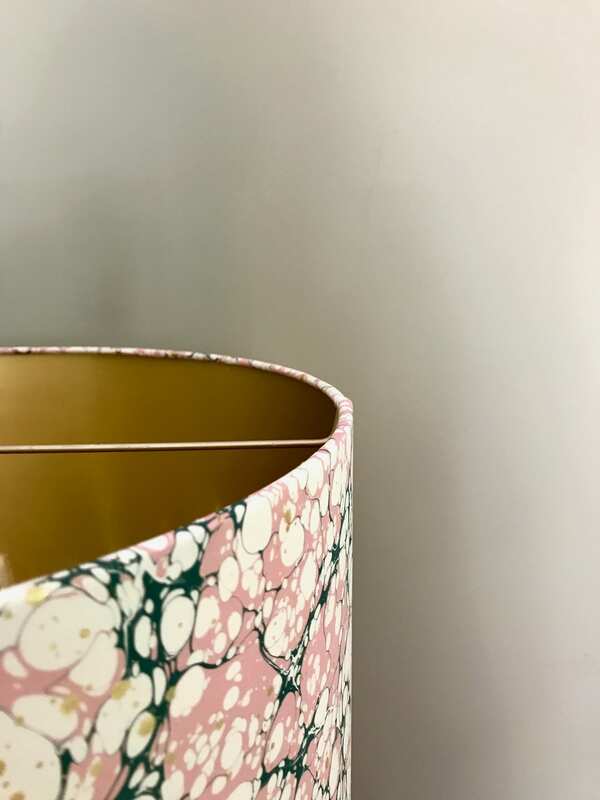 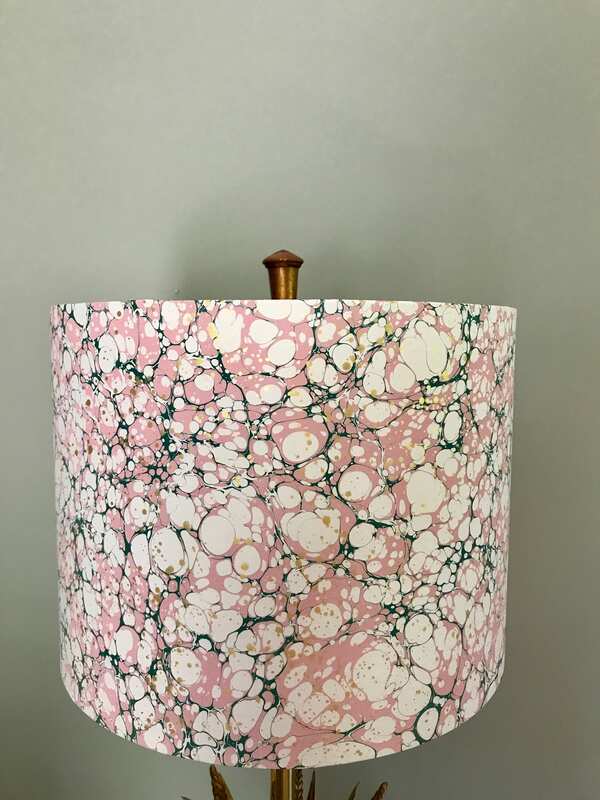 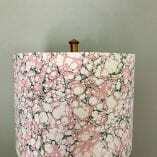 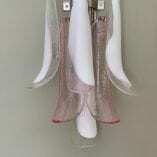 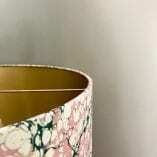 Fitted with a stunning hand-made marbleised lampshade in pink, green and gold and lined with brushed gold. 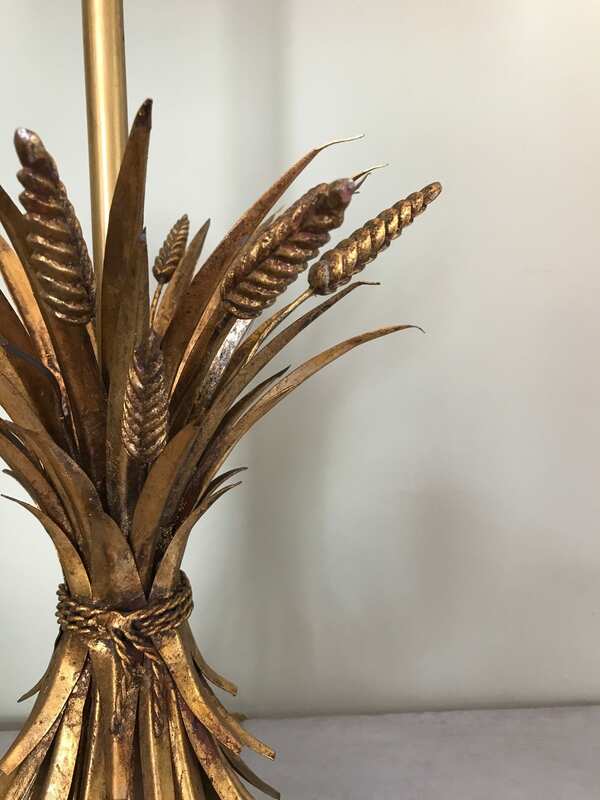 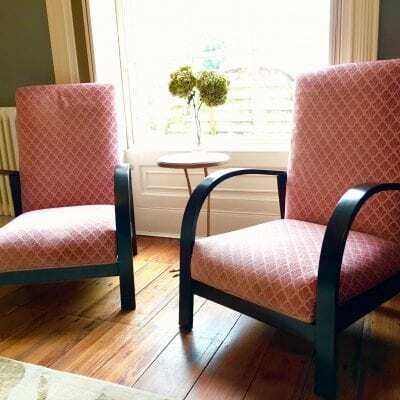 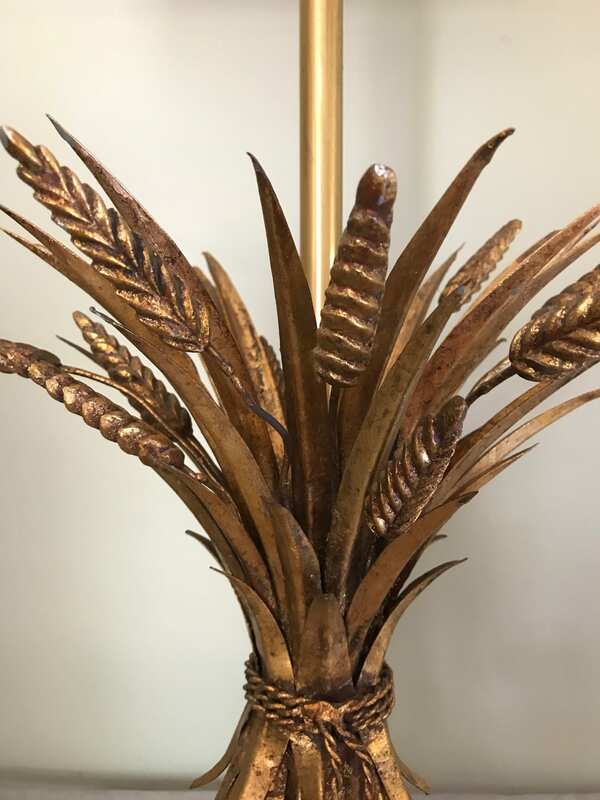 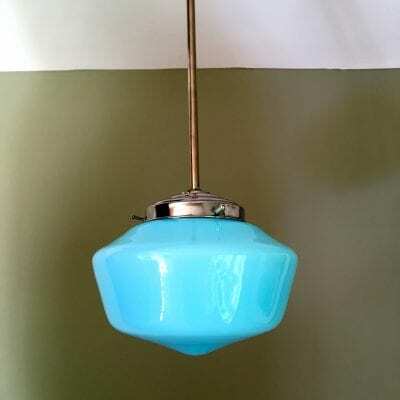 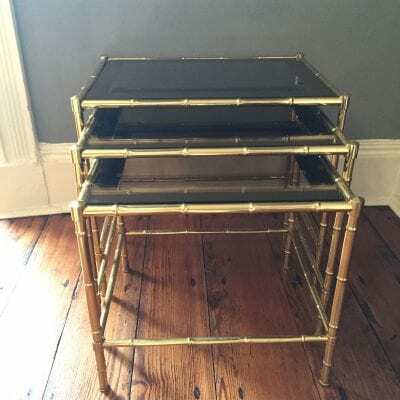 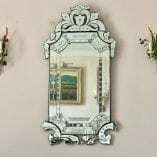 The Wheatsheaf – ever popular in design in the 30s, 40 and 50s, was the firm favourite of Coco Chanel, who had a number of pieces like this in her Paris apartment.